A Plus Dental invests in updated dental equipment for optimum performance and the safety of our patients. Your comfort and safety are included in our top priorities. Any innovation in our office has been checked to ensure total patient safety. 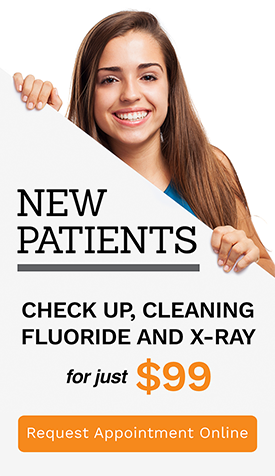 We use digital dental X-rays for dental treatments that require an X-ray. It emits low radiation compared to its traditional variants. The device is safe for children and pregnant women. Digital X-rays also provide faster and more accurate results. X-rays make it possible for your dentist to see the whole dental picture, including those aspects that are not visible to the naked eye. They provide a detailed picture of the tooth, gums, jawbone, and supporting tissues in the mouth. How Often Can You Get A Dental X-Ray? A dental visit is recommended twice a year or once every six months. However a dental X-ray may be not as often. Your dentist will determine whether or not you need it. This depends on your current health status although children may need more dental X-rays than adults since the dentist has to check the developing teeth and jaw. Add to that the fact that children are more vulnerable to tooth decay. 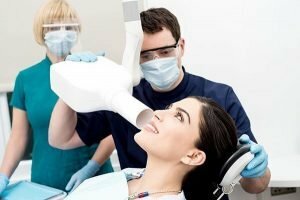 Is Dental X-Ray Safe During Pregnancy? Getting a dental X-ray during pregnancy is safe. There haven’t been negative side effects to it. Still, it is important that you tell your dentist if you are pregnant or are planning to conceive. There are extra precautions put in place for pregnant women undergoing a dental X-ray. Your dentist will give you a leaded apron and thyroid collar during the procedure. Oral health should be monitored closely during pregnancy as the event can cause oral defences to weaken resulting in new dental problems or worsening of existing ones. At A Plus Dental, your safety is always considered. All our dental innovations and procedure went through a rigid checking to keep you protected at all times.